The First Annual Carrera International Off-Road Race (Oct. 7-9) inspired a PSL fashion trek to dune country. Kathy Madlin (left), director of the Oct. 24 Miss Palm Springs Beauty Pageant, and Donna Akroyd, the reigning Miss Palm Springs, wear sassy hot pants from Islamania. 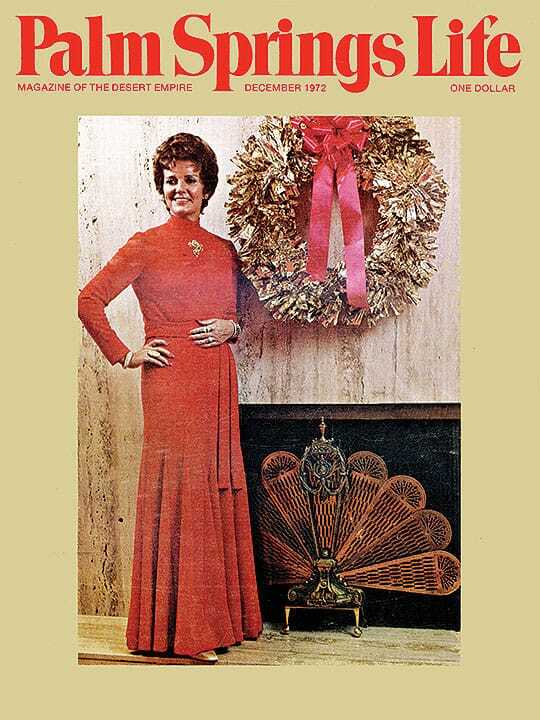 Sally Rasmusson (Miss Tramway) sports a wonderful sweater, shirt, belt, pants from Joseph Magnin. 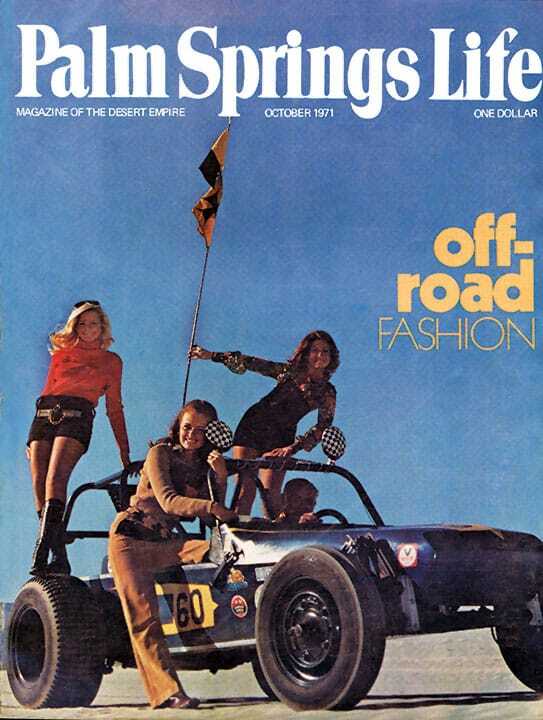 Snappy racer, plus other four-wheelers on fashion pages 48-55, courtesy of Palm Springs Dune Buggy Assn. More fashion-affiliated & other news on pages 30-43. Photography by Gary Julius.